So, just what DO you eat? Everyone we talk to about our LCHF way of living inevitably asks, “So, just what DO you eat?” Most people simply cannot conceive of not eating grains or legumes or giving up sugar (including most fruits). And all that fat! Horrors! The mire of false beliefs and misinformation surrounding how to eat for good health is deep. Of course, folks usually want to understand just what eating this way would look like. Thus, many have asked us to put together an LCHF cookbook. This will not happen. We are, however, very happy to recommend several essential guide books–even a few cookbooks! Notwithstanding our lack of interest in publishing recipes, we do have a camera. Presented on our personal website is a small assortment of meals we enjoyed aboard Rikki-tikki-tavi during five months in British Columbia. 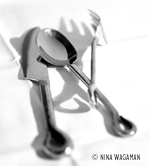 I photographed the plates, dinners for the most part, as they were delivered to the table–no time for food styling! The food is simple, quickly prepared, and very satisfying. The ingredients you will see all store fairly well on the boat. It’s not 5-star, but the fare suits us just fine. Breakfast is nearly always three eggs with bacon. Sometimes Clark will use sliced sausage and/or cheese. We snack lightly on almonds and macadamia nuts, cheeses and a good salami (if we can find one). We make pemmican with grassed beef and suet during the winter. It gets doled out judiciously. IF we eat lunch, which we often do not, it will likely be canned Cole’s sardines in olive oil or Bar Harbor Herring with Cracked Black Pepper. Usually we eat right out of the can, but you will see other ways of using these extremely health-giving little cold-water fish. Dinner is a serving of animal protein, cooked in natural fats (butter, lard, suet, coconut oil), along with a serving of vegetables that are low in carbohydrate. Cauliflower and cabbage store especially well in the “bilge” under the floorboards, as do red peppers and onions. You will see these simple ingredients are a recurring theme, but we pick up other fresh vegetables along the way when possible. We buy local eggs and we catch a fish on occasion. We eat to live and we live well on what we eat. So, let’s go to the photographs! Enjoy. May all your meals be scrumptiously nutritious! My husband, Clark, was surfing the craigslist “free stuff” section recently one afternoon when he came upon a listing for free glucometers. The address in the post (no phone number) was less than a mile from our winter home in Sacramento. We looked it up on Google Maps and discovered it belonged to a doctor’s office. We hustled right on down! We were happily supplied with two units and a nurse gave instruction on how to use them. I was the “stickee”. 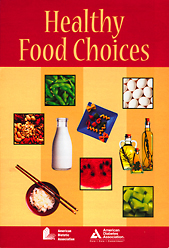 Before we left the office, they handed us a couple of copies of the American Dietetic/American Diabetes Associations joint publication booklet/poster titled “Healthy Food Choices”. As I read the ADA/ADA guidelines on the way back to the house, I became more than a little irked with its bad advice. I calculated that if a person ate to this “healthy” plan, that individual would be consuming about 300 grams of carbohydrates each day! This plan, which is directed toward newly diagnosed diabetics, would guarantee a person remain diabetic and continue to suffer for decades with its complications, until they died. It is basically an insurance policy for keeping that diabetic firmly entrenched in the medical industry– and keep the money rolling in on the suffering of its freshly recruited victim. Of course, the consumption of the SAD (Standard American Diet) as mandated by our benevolent USDA likely was a major factor in the development of diabetes in the first place. I was already well aware of the misguided American Diabetes Association advice but I couldn’t sit still after seeing this. Doctors were handing this booklet out to their patients! I felt compelled to do something. I couldn’t sit still for how this would keep people ill-informed, sick and getting sicker. I know about being in this position. I became insulin resistant as I developed metabolic syndrome. I thought we were eating healthy! (Read my story.) Next step: diabetes. I refused to go there! Instead, I sought to learn how to reclaim my health. What I discovered literally saved my life. I did NOT follow my doctors’ advice, nor the advice of the ADA, and I am glad I didn’t. I followed the advice of Dr. Wolfgang Lutz’ “Life Without Bread: How a Low-Carbohydrate Diet Can Save Your Life”. Miracles happened. They can happen for you too. I just wish I had known the truth decades earlier! It’s really not difficult for any of you to accomplish the same thing, especially if you have recently received a diagnosis of diabetes, or hypertension, or heart disease, or a lot of other things. Gout comes to mind and NAFLD (non-alcoholic fatty liver disease). The list of diet-induced conditions is very lengthy. Using the same design format, I rewrote all the advice to conform to a low-carbohydrate, higher fat, adequate protein plan. For instance, where the ADA/ADA guide says, “Eat less fat.” I changed that to read, “Eat more fat”, listing “wholesome natural fats like butter, lard, coconut oil, and ghee.” I reworked the layout so it could be printed out on 8.5″ x 11″ paper. It “mimics” the original publication in appearance, but the information will actually lead you down the road to better health, not keep you “slip-sliding away”, as Paul Simon sang. I have titled this new guide to eating “Healthier Food Choices”. It’s available as a free PDF download. Feel free to print it out. Please send copies to your friends and family. I want to get helpful information into the hands of folks who need it. I want to help disseminate the truth as we who live a healthy low-carb, higher fat, adequate protein life know it. A real food diet supports the body’s natural ability to maintain itself, build new cells, and repair damage. Your body has the ability to heal. It wants you to be well. It’s never too late, truly. To your wellness, vitality and longevity!